Learn here if vinyl is your type, visit us to see if it suits your style. 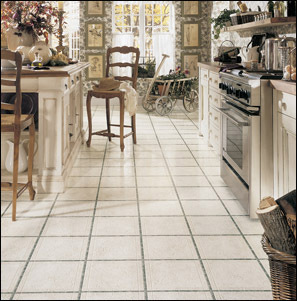 Vinyl flooring offers you seemingly unlimited design possibilities. It’s available in a wide range of colors, textures and patterns for every taste, home and lifestyle. Baker Bros. also offers you virtually endless advantages. We feature the largest product line in this area with some of the most legendary names in flooring. Each of our seven valley showrooms is five times larger than the average flooring retailer and located for your convenience. The Baker Bros. name is recognized and trusted across the region by generations of Arizona customers who continue to come back to us because of our genuine caring, knowledge sharing and personal involvement. And to help you learn more about vinyl flooring, we’ve created these pages. Where vinyl has been at home. 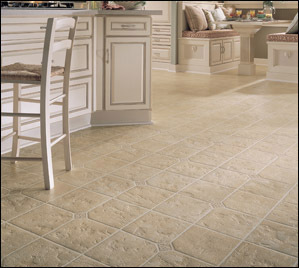 Vinyl is also known to be cushiony and warm underfoot in comparison to natural stone or resilient tile. Vinyl it up if replacement is down the road. And as you move up in the vinyl price range there are many benefits. When shopping for performance, today’s premium wearlayers offer superior resistance to stains, scuffs and scratches. That’s worth noting if you live in an active household, or with kids or pets. 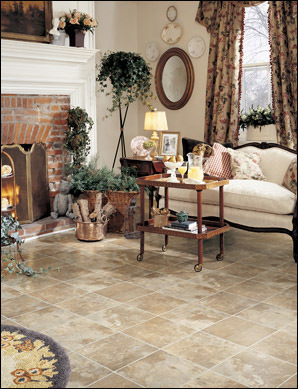 Those are the basics regarding vinyl flooring. For more information, see the other vinyl sections. Or visit one of our seven Baker Bros. showrooms.